This Surf lodge is a perfect place to relax , enjoy the beach and experience typical Italian cuisine. PUERTO VIEJO Surf Lodge accomodation has a laid back atmosphere , but with an elegant presentation ,painted and decorated in bright colors, the bread and butter of the decor is an impeccable wood motif. All the wonders of primordial tropical paradise can be found here: palm trees swaying on tranquil beaches, the tones of purple, orange and red merging into the sea at sunset, accompanied by a soundtrack of reggae, calypso music and exotic birdsong. 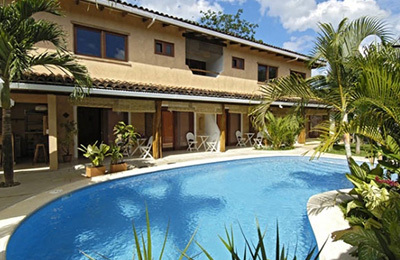 PUERTO VIEJO Surf Lodge accomodation embrace the spirit of simplicity and quality, timeless elements of tropical architecture are employed in creatung accommodations of impeccable elegance and style. Each of 12 standard rooms has a queen size bed in bamboo, private bathroom, A/C, telephone, fan and a fabulous view of the tropical garden. The Resort also offer you 6 big suites beach front, with private pool and an incomparable view of the ocean. The suites rooms include a separate living room with bamboo chairs, loveseat and a glass coffee table, all have various service, like: cable TV, coffee maker and mini bar. 3. LAUNDRY SERVICE: the cost for a laundry bag , available at the reception is $ 10.00 for bag, washed and dried. 6. SAFE DEPOSIT BOX: is free and available in reception. 1. SWIMMING POOL: In the swimming pool with sculpted waterfall , inside a little tropical garden, you can see the waves of the Atlantic ocean. 2. FINE ITALIAN RESTAURANT: In the Restaurant , there is a free Costa Rica, American and Italian style breakfast from 8.00 a.m. to 10.00 a.m., here you can try the delicious “Cappuccino”. 3. BEACH BAR AND TERRACE: open from 12.00PM. 4. RENT A CAR OFFICE. 5. SURF SHOP & BOARD RENT: In the Surf Shop you can find various models of Banzaii and RRD surfboards, and boogie board for rent, best brands of clothes & shoes for men & women. 3. CARIBBEAN TOURS AND ALL THE COUNTRY: In the reception you can reserve many kind of excursions and Tours. The Surfschool is located at the best surf spot in Puerto Viejo ( The Beach Break). The centre is fully equipped with various models of Banzaii and RRD surfboards, available to rent to surfers of all levels. The instruction program is customized for each student.The instructor staff meets each morning prior to lessons to discuss the needs of each student and develop their lesson for the day. All instruction packages will include 1lessons each day, a one-on-one private lesson in the morning scheduled between 8-10 am. On the Caribbean coast, this wave is world class. You will be surfing a right reefbreak known for it’s size and power. The biggest waves in Costa Rica break here when there is a swell. This is where you go in Costa Rica if you want to be surfing big waves (You just need to make sure there’s a swell….) The only way to paddle in and out is through a small channel in the reef, be sure and watch a local paddle out before you do. Experienced surfers at Salsa Brava only! Surfing adrenaline…. Puerto Viejo is the complete package. If you’re ready for some excitement you can partake in a variety of water sports, hike up some intense trails, or research Puerto Viejo’s bumping night life. However, if you’d rather leave the adventure looking for other visitors, you’ll be just as welcomed by museums, galleries, and other forms of subdued entertainment. As the most popular town in the southeast, you’re bound to find yourself foot tapping to the reggae and calypso beats—absorbing that laid-back feeling the Caribbean is famous for. Puerto Viejo’s Caribbean shore is a great alternative to the more built up and faster-paced Pacific Coast. The surf here is renowned as it’s said to have the heaviest wave in Costa Rica named Salsa Brava (brave sauce), for reasons only true surfers know. This region, that embrasses the Caribbean and Northern slopes, presents temperatures according to the altitude. The whole region is directly exposed to the north easterly trade winds, which are fully loaded with the humidity of the Caribbean Ocean. Part of this humidity precipitates in the coasts and plains, but the major rainfall occurs in the slopes of the range of mountains due to the topographic effect. Upon your arrival at San Jose Airport go to the Taxi stand and for about $10.00 ask to be taken to: “Terminale Caribeano.” Bus tickets cost approximately $5. The distance from San Jose to Puerto Viejo is 210 km. Follow signs for Limon Costa Rica- you will first cross over the National Park of Braulio Carrillo and through the cloud forest. 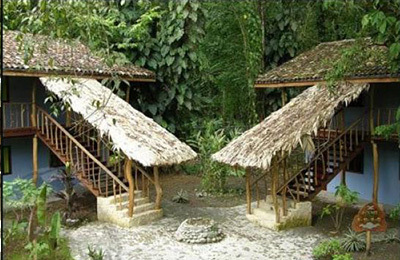 At Limon follow the signs to Sixaola – then approximately 53 kilometers to Puerto Viejo. 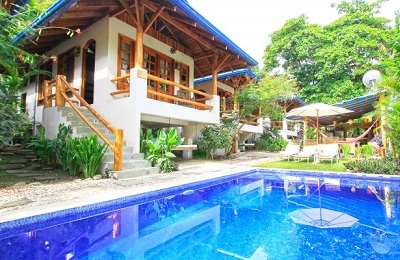 PUERTO VIEJO SURF LODGE is located about a mile past Puerto Viejo in Playa Cocles. 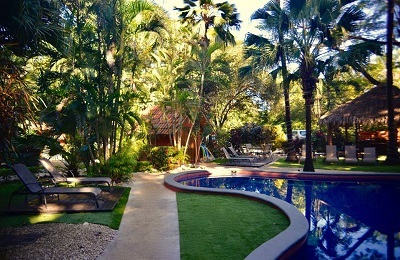 – A/C*: Air-conditioned is US $10.00 additional per night. Children under 5 years old stay free, limited to two children for room. Children 6-12 stay for $ 10 per night plus tax, including breakfast.